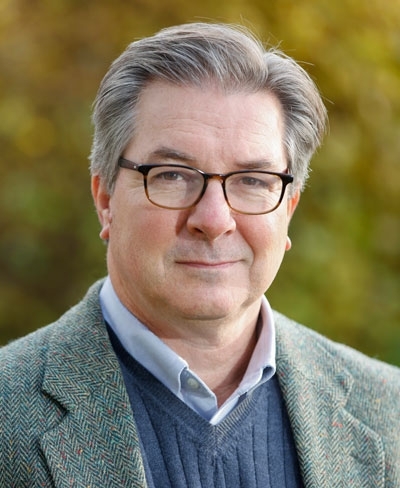 MIDDLEBURY, Vt. — Middlebury College has named Bill Burger vice president for communications. Burger is currently associate vice president for communications at Brandeis University in Waltham, Mass. When he assumes his new role at Middlebury, on Jan. 1, 2013, he will direct communication efforts for Middlebury and for the Monterey Institute of International Studies, a graduate school of Middlebury College in Monterey, Calif.
“Bill’s primary charge as vice president will be to develop and implement an integrated communications strategy that meets the needs of the college and each of its individual schools and programs, clarifies our internal communication processes, and enables the institution to represent its collective identity to the wider world,” said Middlebury President Ronald D. Liebowitz, in announcing Burger’s appointment. Burger brings more than 30 years of communications and marketing experience to Middlebury. At Brandeis, where he has worked since March 2010, he oversees the university’s Office of Communications, including news and communications, Web strategy, publications, creative services, and brand and identity management. He began his career at Newsweek, where he spent 14 years as an editor, writer and foreign correspondent, working in New York, London and Tokyo — and developing an international perspective that will be vital to his work at Middlebury. After leaving Newsweek in 1995, he worked in a variety of fields, including telecommunications, online publishing, and information services, before moving into higher education. Burger received a bachelor’s degree in political science from Stanford University, where he was editor-in-chief of The Stanford Daily. He is an active alumnus and has served on the board of directors of the Stanford Alumni Association. He currently lives in Andover, Mass., with his wife, Susan Greenberg, and their three children.